Yu-Gi-Oh! TCG Event Coverage » Saturday’s Dragon Duel! 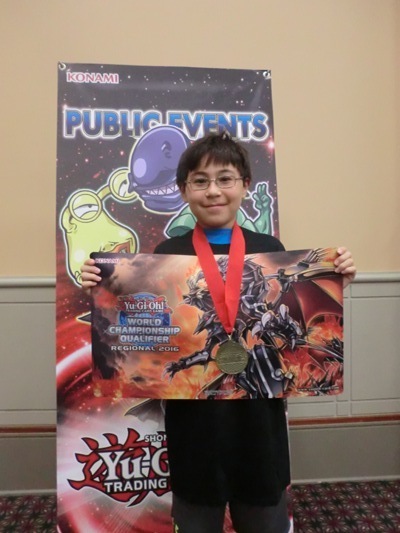 Home > 2015/08 – UDS Summer Invitational – Philadelphia, PA, Ultimate Duelist Series	> Saturday’s Dragon Duel! Saturday’s Dragon Duel Tournament has come to an end! 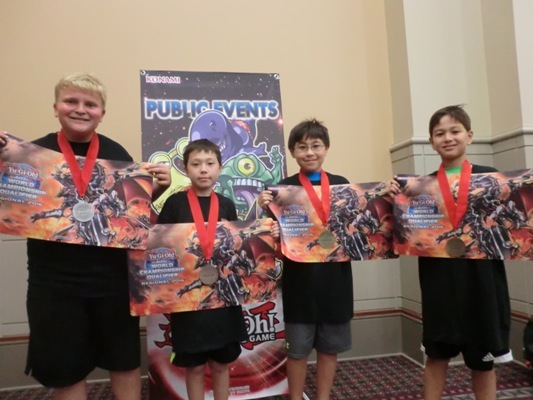 Congratulations to the Top 4 Dragon Duelists! And a special congratulations to first place winner Chase Benjamin! Top 4 Dragon Duelists each received a new Regional Game Mat, a Dragon Duel t-shirt, and a cool medal; but upcoming Dragon Duels at YCS events will enhance the prize pool even more for Dragon Duelists, with the YCS Dragon Duel Championship Playoff! Starting with YCS Toronto, the Dragon Duel Championship Playoff Winner of the weekend at each North American YCS will receive a Super Rare Set of the Darklord YCS Prize Cards! These prize cards were once the most coveted cards in the Yu-Gi-Oh! TRADING CARD GAME, and remain incredibly rare to this very day.